Earlier, Akhtar took to Twitter to say that he had not written any songs for the film and was shocked to find his name on its poster. 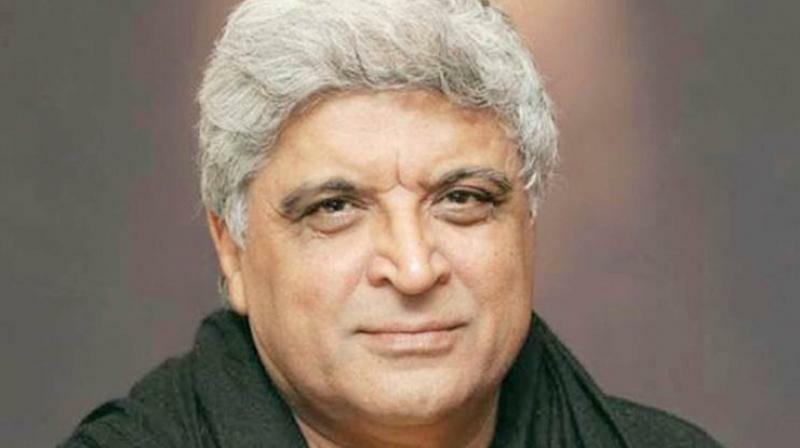 Mumbai: Javed Akhtar says it was unfair on "PM Narendra Modi" producers part to rehash his old song and put his name in the credits on the film's poster when he hadn't even worked on the remake version. On March 22, Akhtar took to Twitter to say that he had not written any songs for the Vivek Oberoi-starrer and was "shocked" to find his name on its poster. Akhtar, in an interview with PTI, said the practice was against "basic honesty". "Nowadays, it has become a frequent practice that people buy rights of a song from an old film. They re-record it and use it. This is not fair," Akhtar said. The veteran lyricist said the producer of the Modi biopic had picked up a song "Ishwar Allah" that he had done for Deepa Mehta's "1947: Earth" and they re-recorded it after buying the rights from T-series. "They gave my name in the poster as the songwriter of this film. I was never the songwriter of this picture. Why give my name on the poster? If you want to thank or honour me, tell me why did you deprive A R Rahman (composer) from it? It is against the practice and tradition, there has to be basic honesty. They had no business to pretend that I am the songwriter of the film," he told PTI. Asked if he would like to take the matter ahead, Akhtar said, "I have made my point." The film, which was earlier slated to be released Friday, has been postponed till further notice, producer Sandip Ssingh said Thursday. The writer-lyricist was talking on the sidelines of the annual event held of the Indian Performing Right Society (IPRS), a recognised copyright royalty collection body. Akhtar, who is the chairman of IPRS, distributed over Rs 20 crore to its members at a function held here Thursday. IPRS distributed royalties to music composers and classical artistes such as Pandit Shiv Kumar Sharma and Pandit Hari Prasad Chaurasia among others. Akhtar is happy the IPRS has started benefitting classical music artistes, who epitomise the music tradition. "Generally, we tend to believe that royalty is only for mainstream Hindi commercial cinema music and maybe some popular ghazal singer or pop singer but we never think that classical music is played at so many places. "Like Shiv Kumar Sharma's santoor or Hari Prasad Chaurasia's flute are being played at public places but nobody has bothered to track that. For the first time today, we have given a sizeable amount of royalty to them," he added. From AndhaDhun to Badla, Bollywood sees a trend with successful foreign adaptations!